A good fit for the battery pan, and the terminal screws were included. Supplied fully charged. 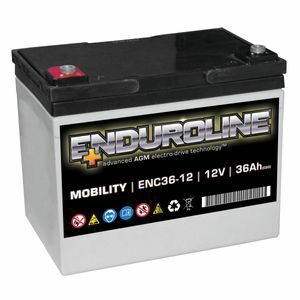 This battery was made the best deal for my mobility scooter as it is available with relief from vat by disabled users under group 14 of the zero rate schedule to the finance act 1972. This does not apply to all scooter batteries. No vat. Great! Normal carriage was delivered the next day. Quality battery, starts the machine readily every time.